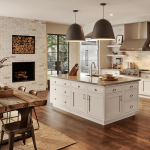 nspired by the dynamic landscape of the Rocky Mountain West, we bring the visions of owners, architects and craftsmen together to create exceptional handcrafted custom homes. Teton Heritage Builders integrates the quintessential elements of the regional palette – stone, timber, log, glass and steel – to craft high-quality homes that reflect the character of their distinctive surroundings. 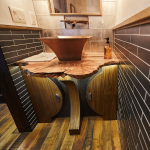 More from Teton Heritage Builders….